So as most typical natives I don’t really play tourist in my own town. I love visiting art museums but the majority of those that I have been to have been while traveling. Seattle Art Museum, Denver Art Museum, High Museum of Art in Atlanta, National Gallery of Art, National Portrait Gallery, and Le Louvre. 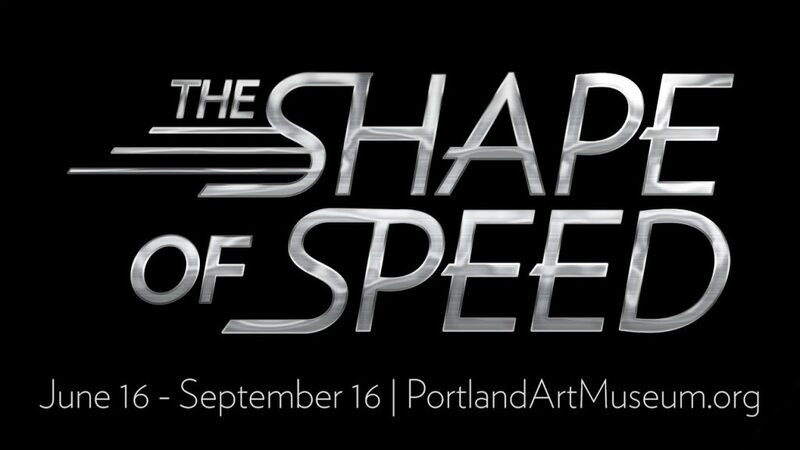 Kristina proposed seeing the exhibit The Shape of Speed: Streamlined Automobiles and Motorcycles at the Portland Art Museum. A special exhibition featuring 19 rare streamlined automobiles and motorcycles from the 1930 to 1942. Sunday was the last day of the show and she knows I like cars. I was so excited when she said the museum. I have wanted to go here since I moved but just never found the time to make it. I was excited to see the cars but also the art on the wall. We meet early for brunch at a cafe she found in downtown called Bijou Cafe. We got there rather early on her advice because by 10am brunch places get pretty packed. This early we were able to walk right in and get a table. After a quick bite to eat we walked down to the museum to check things out. Being the last day it was rather busy but that’s ok. The first floor is where all the cars were. Lots of classically designed cars with sweeping curves and big personalities. All the cars were “production” cars near as I could tell. Such a great variety of manufacturers and designs. Also some innovated design elements like early electronic systems and umbrella’s in the door. Another thing I noticed with most of the cars is they where built with travel in mind. Mostly to store all the luggage one was to have when traveling back in the 30’s and early 40’s. Next we went to the second level to check out some of the art on the wall. Honestly we didn’t get to deep into it. We saw a couple of rooms but that was it. We sat and enjoyed a couple of paintings, discussing the finer details of the works like civilized art critics. I do think most discussions of art are opinions wrapped as knowledge. Some good stuff here but some weird stuff as well. Couldn’t find an over all theme to the collection but still a worthy group. A great exhibit and I was happy to hear Kristina recommend it. It was thoughtful, cultural and something we both could enjoy. The food was good which doesn’t hurt either. Honestly the highlight of the day for me was seeing her face when I gave her some flowers at the end of the day.